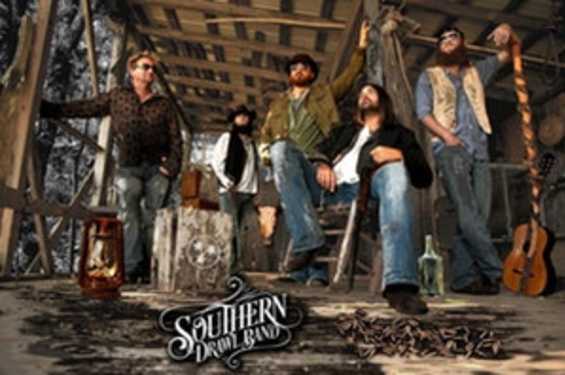 Southern Drawl Band has been touring the U.S. from coast to coast since it's beginnings in 2012. "Tirelessly building our grassroots fan base from the ground up is the key to our success" says Mike Nash, frontman, and guitarist for the band. "We have been honored to have won several awards for Band of the Year as well as Entertainer of the Year because of the support of our incredible fans who will regularly drive hundreds of miles for our shows and who have spread our message like wildfire". During their rise, Southern Drawl Band has had the honor of gracing the stages of many major artists. From legends such as Lynyrd Skynrd, Charlie Daniels Band and Jimmy Buffett to classic country artists like Aaron Tippin, Neil McMcoy, and Pure Prarie League right up to modern day stars such as Brantley Gilbert, Blackberry Smoke, and Justin Moore.